Former Finance Minister Yanis Varoufakis has claimed that he was authorized by Alexis Tsipras last December to look into a parallel payment system that would operate using wiretapped tax registration numbers (AFMs) and could eventually work as a parallel banking system, Kathimerini has learned. In a teleconference call with members of international hedge funds that was allegedly coordinated by former British Chancellor of the Exchequer Norman Lamont, Varoufakis claimed to have been given the okay by Tsipras last December – a month before general elections that brought SYRIZA to power – to plan a payment system that could operate in euros but which could be changed into drachmas “overnight” if necessary, Kathimerini understands. Varoufakis worked with a small team to prepare the plan, which would have required a staff of 1,000 to implement but did not get the final go-ahead from Tsipras to proceed, he said. The call took place on July 16, more than a week after Varoufakis left his post as finance minister. The plan would involve hijacking the AFMs of taxpayers and corporations by hacking into General Secretariat of Public Revenues website, Varoufakis told his interlocutors. This would allow the creation of a parallel system that could operate if banks were forced to close and which would allow payments to be made between third parties and the state and could eventually lead to the creation of a parallel banking system, he said. You can find extracts from the conversation below. Varoufakis was advised that the call was being recorded when it began. 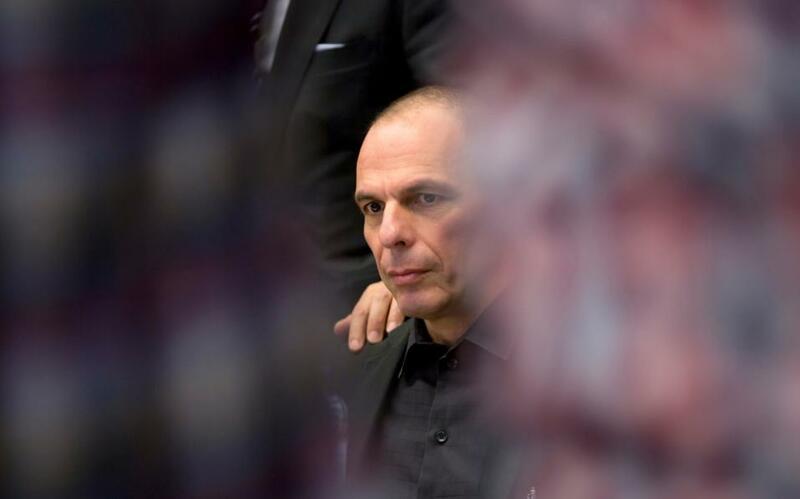 Varoufakis: "I have to admit we did not have a mandate for bringing Greece out of the euro. What we had a mandate to do was to negotiate for a kind of arrangement with the Eurogroup and the ECB that would render Greece sustainable within the eurozone. The mandate went a bit further, at least in my estimation. I think the Greek people had authorised us to pursue energetically and vigorously that negotiation to the point of saying that if we can’t have a viable agreement, then we should consider getting out." "We don't have a currency which we can devalue vis a vis the euro, we have the euro"
Normal Lamont interrupts: "There are certainly others listening but they will not tell it to their friends." "Schaeuble has a plan. The way he described it to me is very simple. He believes that the eurozone is not sustainable as it is. He believes there has to be some fiscal transfers, some degree of political union. He believes that for that political union to work without federation, without the legitimacy that a properly elected federal parliament can render, can bestow upon an executive, it will have to be done in a very disciplinary way. And he said explicitly to me that a Grexit is going to equip him with sufficient bargaining, sufficient terrorising power in order to impose upon the French that which Paris has been resisting. And what is that? A degree of transfer of budget making powers from Paris to Brussels."